Offered as an advanced, long-term opportunity to earn significant practical and environmental work experience, AmeriCorps Professional Development Members will spend approximately 3-6 months participating on complex trail construction, forestry, and environmental restoration projects under the guidance of ACE’s most highly skilled staff members. The goal of the position is to accomplish meaningful project work for a variety of agencies while being exposed to various field techniques such as trail construction and maintenance, ecological restoration, dry stone masonry, and Leave-No-Trace principles. As skills develop, it’s expected to remain on a project and cohesive crew long-term to advance ones skills, leading to less project variety in relation. Professional Development Members should have an established interest in conservation issues and should take joy in tackling challenging situations with a positive mindset. Applicants must be willing to undertake arduous physical work in all types of weather and terrain, and to participate as a team member dedicated to ACE’s mission. ACE’s Professional Development Program is meant as a stepping stone to environmental careers and as a gateway to potential advancement within ACE, not only as an interesting and rewarding way to spend several weeks working in beautiful locations. Drug users, including users of marijuana, should not consider applying as ACE reserves the right to require drug testing and absolutely abhors the presence of drug users in our program. 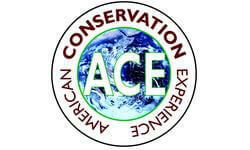 ACE intends to be a positive influence and intends to create safe and healthy environments for our members. The culture of alcohol and tobacco use is also restricted from ACE property and not supported by our mission of professionalism and personal development. Trainings may include a variety of technical project and outdoor skills such as trail hand tool usage, universal trail building principles such as tread and switchback construction, installing water bars, check dams and other erosion control devices, and GPS use. If technical rock-work projects exist: retaining wall construction, rock step construction, rock drilling, splitting and shaping, setting up rigging systems may be included.